Bhairvee joined HCAP Partners in September 2015 and holds a unique role spanning both the firm’s Impact and Investment practices. Bhairvee has led the construction and implementation of HCAP’s current impact framework and methodology around quality job creation, the Gainful Jobs Approach, and she is a key contributor to the firm’s continued recognition as a thought leader in the impact investing field. 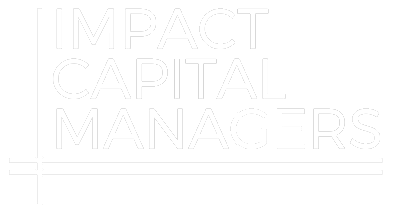 In her role leading the firm’s ongoing impact investing initiatives, she is also responsible for the firm’s impact measurement and reporting practices, including writing the firm’s Annual Impact Report. Bhairvee also participates in the origination and analysis of new investment opportunities, investment due diligence, deal underwriting, and investment monitoring. She is currently actively involved in HCAP’s investment in Progistics. Prior to joining HCAP Partners, Bhairvee was with San Diego State University’s Zahn Innovation Center where she created and led the University’s incubator platform for social enterprise. Bhairvee joined the Zahn Innovation Center from H.I.G. Capital, where she was a founding member of the firm’s London office and participated in the origination, investment analysis and due diligence of private equity and distressed debt transactions. Before joining H.I.G. Capital, Bhairvee worked in investment banking focusing on cross border M&A transactions.